IIM Indore organized a Guest Lecture in the memory of Late Mr. Nani A. Palkhivala, the famous legal luminary, author, business leader, orator and diplomat; on January 12, 2016. Mr. Keki Mistry, Vice-Chairman & CEO, HDFC Ltd was the Guest Speaker who delivered the lecture on the topic ‘Current State of The Economy and The Importance of The Housing Sector’. 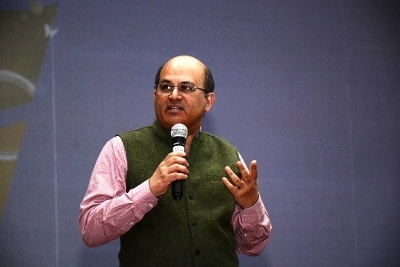 Professor Rishikesha T. Krishnan, Director, IIM Indore delivered the Welcome Address and noted that it’s a pleasure for IIM Indore to conduct a lecture in the memory of Mr. Palkhivala, who excelled in multiple capacities and played a stellar role in contributing to the nation. He also thanked Mrs. Swati Kapadia, Director, Nani A. Palkhivala Memorial Trust for organizing the lecture. 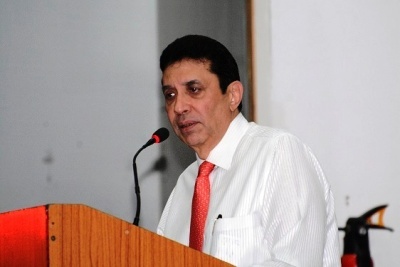 Mr. Keki Mistry in his speech noted that in the current scenario, we are lucky to be in India, as this is the largest democracy in the world, has the largest young workforce and by the year 2020, would become the fifth largest economy in the world. Mentioning facts from the International Monetary Fund, he mentioned that India can now be considered to enter the Golden Period, a place better than other countries to live in. He said that India is advancing not only in the technology sector, but also in banking, automobile and housing sector. ‘RBI has also played a significant role in lowering the inflation rate in the last few years, thereby lowering the interest rates’, Mr. Mistry said. He also talked about the difference in housing policies of India and other western countries. Mr. Mistry concluded his lecture mentioning that India needs youth who are highly energetic, passionate about work; believe that things can be made better even when circumstances are not favourable. The talk concluded with a Q&A Session wherein the participants got a chance to interact with Mr. Mistry. This was followed by a brief speech by Mrs. Swati Kapadia, Director, Nani A. Palkhivala Memorial Trust. 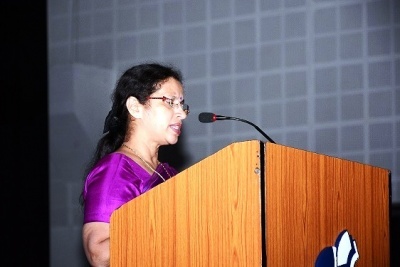 Encouraging the students to keep trying till they succeed, she mentioned how Mr. Palkhivala overcame his stammering problem and became one of the best orators of the nation. She also mentioned about the functions of the trust. The event concluded with screening of a documentary film, Nani- The Crusader, which focused on the life and career of Mr. Palkhivala. The film also highlighted his concern for the common citizen and his role as an ever vigilant trustee of human values. The event was attended by the students, faculty and staff of IIM Indore.